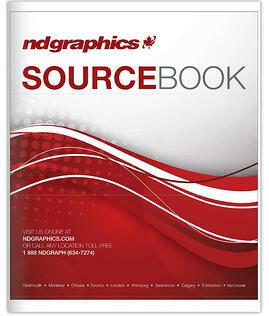 Find Any Product You're Looking for in the ND Source Book! Our Source Book contains a complete listing of all of the products that ND carries with sizing and descriptions. Need it? We've got it. This version of our Source Book does not contain pricing. To view pricing, please contact your Sales Rep. If you do not have an account with ND Graphics and wish to view pricing, Create an Account today!